Spring is almost here, and the weather is going to quickly heat up. Cool down with friends at your Houston apartment with these 3 yummy non-alcoholic beverages! Sweet with a bit of tartness to balance the palate, this drink will excite both your guest! Add 1 cup of pomegranate juice to 5 cups of orange juice. Watch the red liquid sink and create an aesthetically appealing drink. Finish with a slice of orange and sprinkling of pomegranate seeds. Enjoy! Who doesn't love a good sparkling, tangy drink on a hot afternoon? Combine ginger, sugar, and water in a medium-size saucepan and bring to a boil over medium-high heat. Reduce to a simmer and let all the sugar dissolve for 20 minutes. Remove from the heat and let cool for 2 hours. When ready to drink, strain the ginger and combine the lime juice and seltzer. Enjoy! 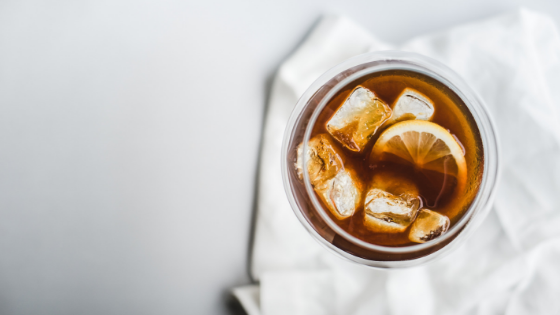 Iced tea is a favorite here in Houston, but why not freshen it up with something new. Combine ingredients in a cocktail shaker, except for tea, lime juice, and most of the thyme. After shaking enough to release the juice from ginger and thyme, add the lime juice and stir to dissolve the sugar. Strain and pour into a pitcher with ice, add the brewed tea on top, garnish with the remaining thyme. Enjoy! Warmer weather always means delicious fresh drinks. To learn more about our available floor plans, contact us today!